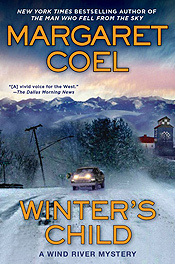 Tony Hillerman, Coel is the one who most deserves the accolade." 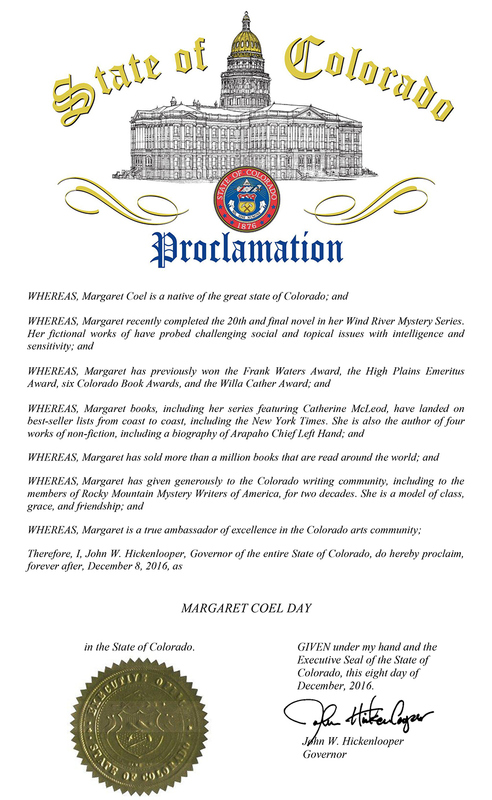 Margaret Coel is the New York Times bestselling author of the award-winning Wind River mystery novels set among the Arapahos on Wyoming's Wind River Reservation. The novels feature the widely beloved characters Arapaho attorney Vicky Holden and Jesuit priest Father John O'Malley. 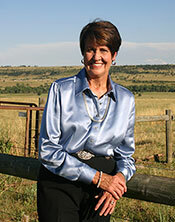 Margaret is also the author of mystery novels set in Denver with Arapaho newspaper reporter Catherine McLeod, as well as a collection of short stories. Among her non-fiction credits are four history books and numerous articles in such publications as the New York Times and American Heritage. A childless Arapaho couple on the Wind River Reservation find a white infant on their doorstep. They care for the tiny child, expecting someone to claim her. Months go by, then years, but no one comes. When the child is about to start school, they know they must legally adopt her. Or face losing her. They hire adoption lawyer Clint Hopkins, who, after doing some research, arranges to meet with Arapaho attorney Vicky Holden. But before the meeting can take place, a black truck appears out of nowhere and runs Clint Hopkins down. Drawn into the case, Vicky and Father John O'Malley soon run into a wall of secrets. They must draw upon their wits and their knowledge of the reservation to save their own lives and defeat a determined killer. Read more about the book and a Q & A with Margaret about the series! 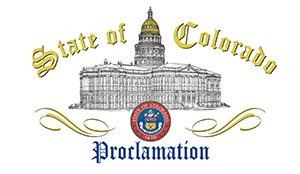 Margaret is so honored that December 8th has been designated as Margaret Coel Day in Colorado! Read more about it on her Facebook page. of Native American mystery writers...magnificently crafted." Site design © & maintenance by xuni.com. All content © 2002-2019, Margaret Coel.